The Belfast Giants, thankfully unaffected by the overnight storm, had arrived safely in Milton Keynes for their third in three. Waiting for them was a fresh Lightning squad, playing their first of the weekend and backstopped by a gifted goaltender in Patrick Killeen despite his league high GAA of 3.42. 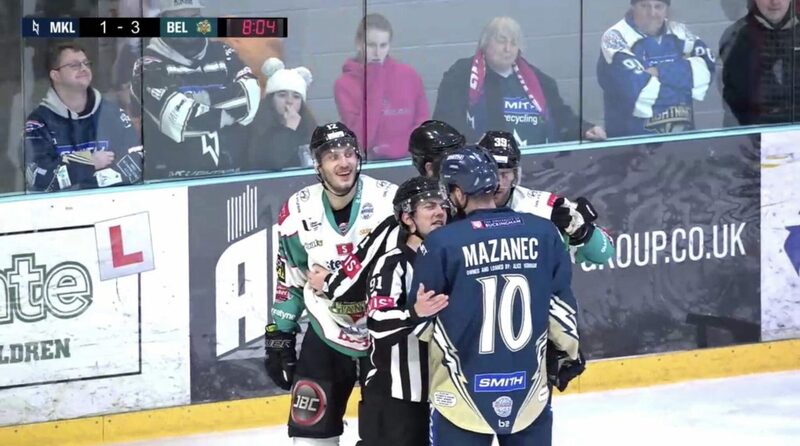 Meanwhile, Adam Keefe favoured Stephen Murphy over Tyler Beskorowany in goal- no doubt looking ahead to Tuesday’s Challenge Cup Semi Final 1st leg clash with Glasgow. David Rutherford travelled, but was once again unavailable for selection at game time. The Giants applied solid pressure after the drop, with Killeen taking care of a number of quality chances. A mid-period holding call on Kevin Raine also led to Kendall McFaull and Cole Shudra receiving a pair of twos for roughing. 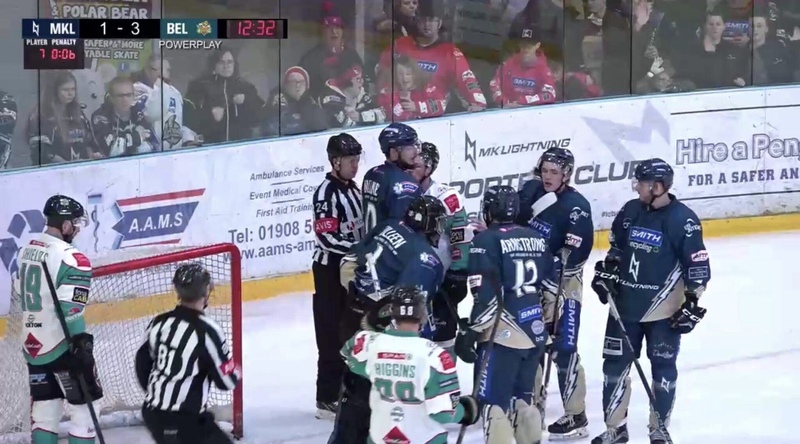 The Belfast Giants were outshooting the MK Lightning 21-7 as the first period ended. 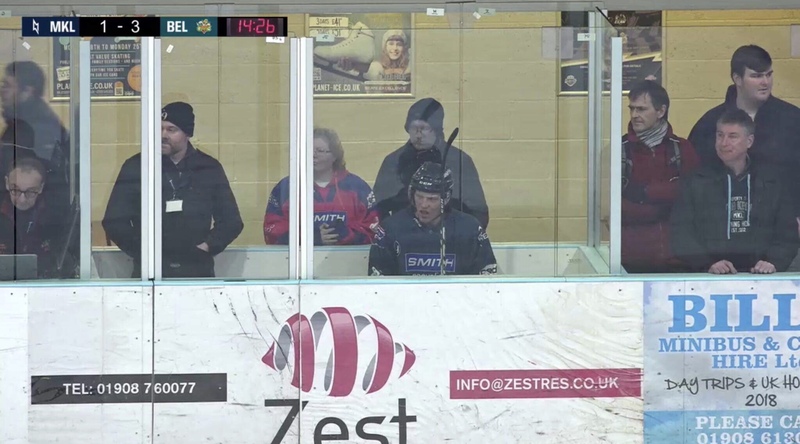 Harry Ferguson was to head for the penalty box once again on a slashing call, but the Belfast power play unit were unsuccessful. 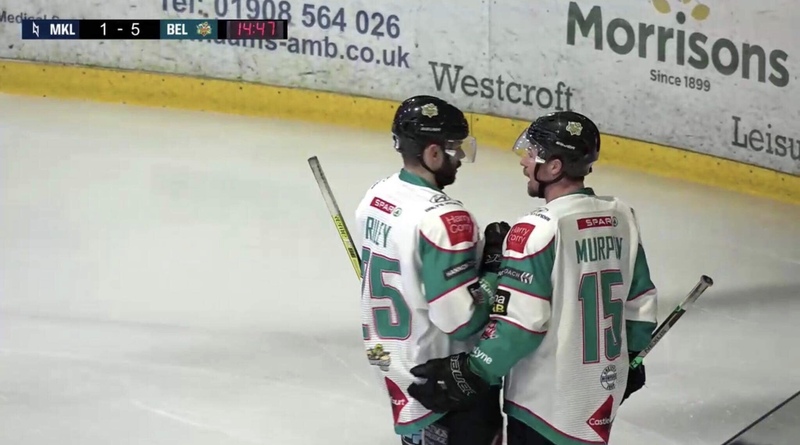 With 1.23 left in the period, Michael Fine sat for hooking and the Belfast power play unit took over. And then, at 19.07, if you’ll pardon the pun, lightning struck twice. 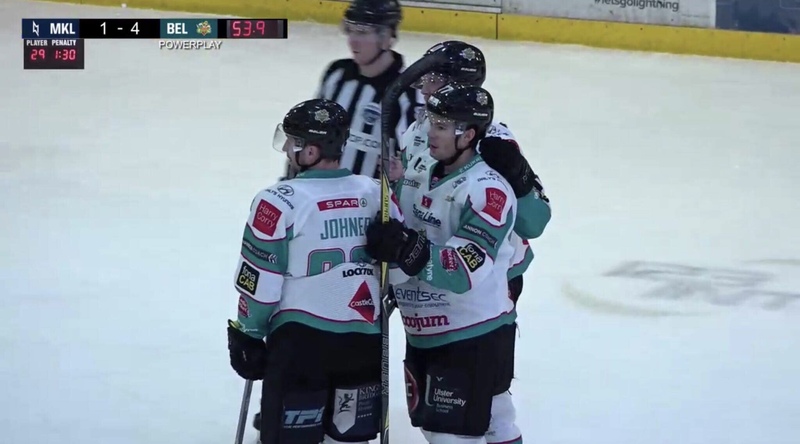 Dustin Johner was to sit for interference in the first minute of the final period, but the Giants penalty kill unit stood tall- pinning the puck high and in fact providing a couple of short handed opportunities. Adam Goss took over in the Lightning crease with ten minutes to go and the game all but over. 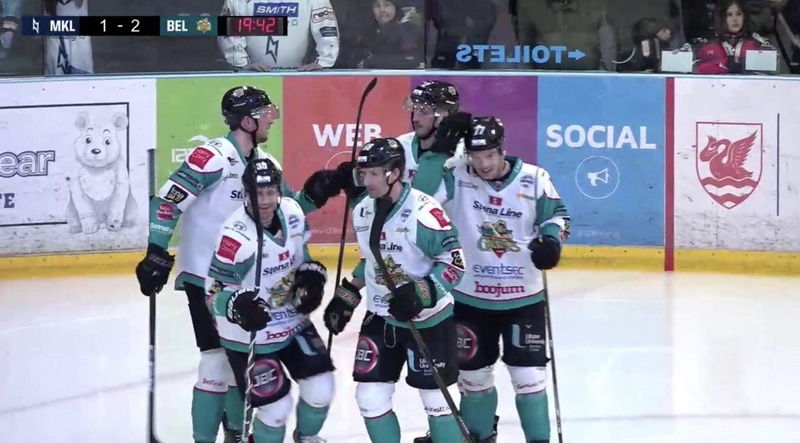 Now… it’s rare that the 9th goal of any game is historic, but as reported by AVFTB statistician Davy McGimpsey earlier today- the assist awarded to Belfast Giants and Team GB’s all time top point scorer Colin Shields on Boxill’s goal broke the record for most points scored in Elite League History. Not only that, it was during his 600th game for the club… and on his birthday. Quite a way to draw a six point weekend to a close. Hands up if you had the league wrapped up last week?